DRAGONS: RIDERS OF BERK Vol 5 - THE LEGEND OF RAGNAROK Review | Warped Factor - Words in the Key of Geek. Tony Fyler prepares for the end. It’s a heck of a life, being a Viking of Berk. Storms, blood-feuds, the complications of growing up, the dragons, of course – and then someone drops the end of the world in your lap. The important thing about translating a hit animation franchise into a hit comic-book series franchise is recreating the tone that first got you an audience. That can be tricky when the original doesn’t give you a great deal to go on, as with the Penguins of Madagascar, or when your heroes are mostly non-verbal, as with the Minions. 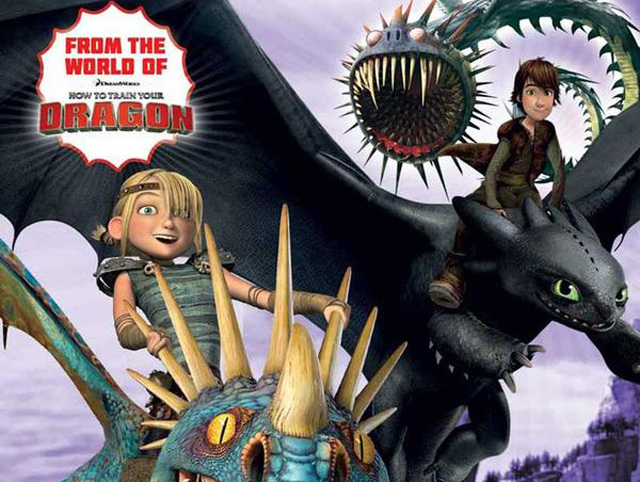 Happily, Dreamworks’ How To Train Your Dragon movies were all about the tone, and the tone was highly replicable – think 80s Brat Pack, updated, and with dragons. Titan Comics is getting to be an old hand at bringing this vibe to the two-dimensional world of panels and pages, and fans will be pleased to know that Volume 5 is no exception. Hiccup the dragon-trainer is now in an established world of friends and foes, and has ordinary challenges to deal with – well, ordinary inasmuch as they involve training semi-invisible, cranky stealth dragons, anyway, but there are some neat almost-parodies of the recent Jurassic World movie in his attempts to commune with his latest reptilian friend. Vikings generally commune with things by quaffing a goblet or two and hitting them over the head, so getting the peace and quiet necessary for proper dragon-training can be a trial in itself – but when the dragon attempts to train you right back with its super-hypnosis eyes, life gets particularly tricky. When the Serpent of Midgard wakes up heralding Ragnarok, feeling extra-specially cranky and in the mood for Vikings on toast, the trickiness goes off the charts, and the whole town is employed trying to throw rocks at it to make it go away – leaving devious, nefarious blood-feudy Vikings from out of town free to try and sneak in the back way while everyone’s looking at the big purple bringer of fiery doom. 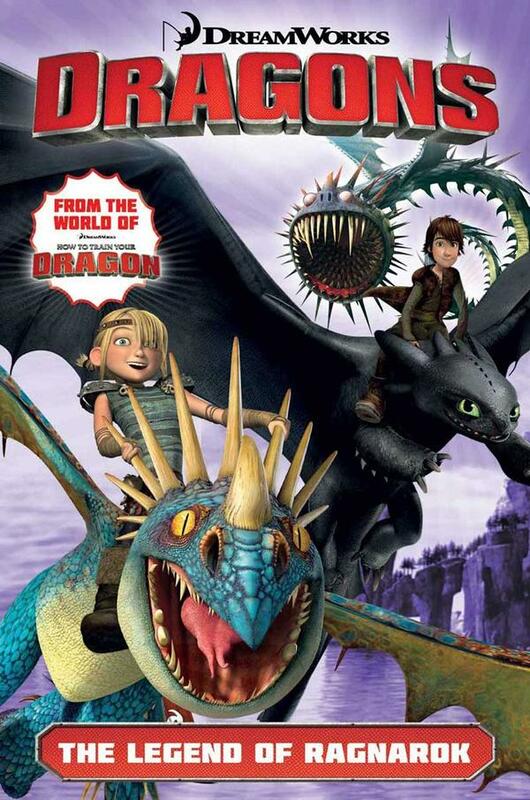 Ultimately it takes all the dragon-riders, and the rest of the town, and an understanding with the rampaging would-be Berk-burners to defeat the oncoming destruction of at least Berk, and probably much of the world, and, as you’d expect, Hiccup and his new stealth-hypnosis dragon are key in saving the day. As such, the plot is not over-complicated – it’s no particular Moffatfest, certainly – but there’s enough going on to engage, entertain and power you through to the end of the ‘main feature’ story here, with each of the dragon-riders getting if not their fair shake then at least a moment in the sun. While the cover art is faithful to the style of animation in the movies, the art of the main story, by Jack Lawrence, delivers an Asterixian world of Berzerkers and big lads, with Astrid the someone token female presence who still manages to be crucial, as well as a voice of reason when even Hiccup’s machismo gets the better of him. Both stories here are by Simon Furman, and both stay true to the characterisations and the vibe of the movies, so crucially, you can pick up this comic-book expecting some solid How To Train Your Dragon action and be confident of what you’re getting. So if you enjoy the Dragon movies, pick this up today: you’ll get two sides of the world of Berk, its dragons and dragon-riders, and both of them will reward you for your attention, albeit in slightly different ways.